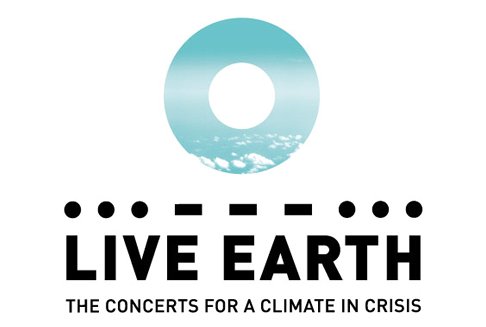 Last weekend we witnessed another global entertainment event, this time aimed to raise awareness of ‘a climate in crisis’—Live Earth. I was originally not going to watch this concert for reasons I will come to later, but my Saturday night turned out to involve looking after a friends dog, so I thought I would give the event a chance (and means I can now base my criticisms on actually experiencing the event). I’m the last person you need to convince that global warming and climate change are real, and that it requires action from both governments and society at large. Sadly there are policies of spreading disinformation and doubt from some groups (clue: ryhmes with Push), meaning that this issue is still regarded as a debate. Personally I feel whether you believe humans can impact the environment or not, wastefulness is a bad thing however you look at it, and I’m sure nobody would disagree that the majority of the resources we consume are limited and don’t come from renewable sources. I also believe the effects of climate change are at their most obvious, and if we are not careful we will just become more accustomed to these effects without dealing with their causes—until it’s too late. It was that reason why I was concerned that a global concert series fashioned after Live 8, staged on 7 continents and held at locations in 8 countries, generating a reported 31,000 tons of CO2, with the performers and other celebrities involved being those who are perhaps the worst polluters on the planet was not a great way of spreading the message. In fact with all this in mind, this event is one of huge hypocrisy. The line put out by the organisers however that this was a ‘green concert’, with performers not travelling to different countries to perform, and that the ‘cost to the planet’ would be worth it if doing so encouraged everyone watching to make a small change. It would also raise awareness amongst those who this issue may have passed by (although I find it hard to believe there is anyone who doesn’t know about this issue given we’ve been talking about this for 10 or 20 years now). So having watched the concert highlights, has my position changed? Well, only slightly, yet I still feel incredibly negative about it on the whole. One of the arguments put forward by the organisers of the concerts, was that performers would not be travelling to cities to take part, with the line ‘Madonna lives in the UK, she hasn’t flown in from America’. Frankly, I find it hard to believe Madonna would want the hassle of flying to the States to perform anyway, so I doubt that was ever a consideration anyway. The same can’t be said for Joss Stone, seen at the Concert for Diana the previous weekend in London, but now appearing in South Africa. Also, Al Gore had been in the UK (and elsewhere) to promote the event, and on the day was seen in both -New York- New Jersey and Washington DC. Not to mention the countless Hollywood A-listers flown over to the East Coast and UK to stand on stages for all of 60 seconds to introduce the next act. You can carbon offset this travel as much as you want, but that carbon has still been produced, and there is no getting away from that. During the broadcast, we were told that one way to ‘answer the call’ was to not fly to meetings, but to use video conferencing and thus saving all the carbon generated by the flight. So why were video links not being used here? It doesn’t have the same excitement of having the celebrities appear in the flesh, but surely the bigger message is what was more important. During the NBC coverage, a lot of the performers where then interviewed off stage by Carson Daly, who upon asking them what they have learnt from taking part, or how they have been becoming more environmentally concerned the token answer was ‘we now use bio-diesel in our tour buses’. To me, whilst this is an improvement, it wasn’t enough. Whilst I’m here, I should point you in the direction of a couple of great posts by Ning’s CTO Marc Andreessen were he calls out Bono. For me this highlights the dangers of our celebrity obsessed culture. Whilst it is great that they are using their fame to support great causes, they are not always backed up with action, but unlike politicians, they tend to face less closer scrutiny. There was a particularly mis-judged action I thought mid-way through the NBC coverage, in which we were shown how the Empire State Building was bathed in ‘green light tonight’ as opposed to whatever colour is usually used. Erm, surely a bigger statement would have been so show the Empire State Building not lit up? For me this summed up the entire thinking behind Live Earth—all show, but little thought. It wasn’t long before the host of the NBC show got to interview Al Gore, and she was quick to ask the former Vice President to answer the criticisms made of the event, and how surely putting on such a massive series of concerts was actually bad for the environment. Now I was expecting the stock argument I mentioned earlier about how it was about raising awareness, but Al Gore skimmed straight over this to joyfully explain how the numbers were still coming in, but this was now the “Biggest Live Entertainment Event Ever” (although in reality it seems this event was a massive flop, certainly in terms of those who actually watched at home on TV). I was then expecting him to follow this up with how that meant the event was viewed by enough people that it would cause a sea-change, and awareness to reach new heights or something similar, but he stopped on the success of the show in terms of viewership—like that was actual goal. One has to assume it was. What followed was even more shocking. As with every interview with Al Gore he was asked if he would run for President, ‘Yes or No’. Of course he wouldn’t say either, but it did seem that the job was becoming more appealing to him. Now I’m reading his book the ‘Assault on Reason’ and if he believes everything he has written about what is currently wrong in American politics, he would be a great candidate. But if he were to run, would that not invalidate this whole issue? Surely it would look like this was just a prelude to his campaign, a way to raise his profile? I’m not sure, but it’s certainly seems more of a possibility. Finally, Al Gore stated that Live Earth was actually the start of the campaign, that this was to kick-off a series of events to raise awareness. Now where have I heard that before? Does anyone remember Live 8? Of course the G8 came and went, with flimsy half baked pledges of support for Africa, followed by a World Trade Organisation meeting a few months later, in which nothing was done about making world trade fairer. Make Poverty History came and went, and I’d put money on people’s level of interest in Africa being at the same levels today as it was before that event. Let’s not kid ourselves about this re-hash being able to achieve the same heavty goals—people have short memories. This idea of the start of the campaign actually seemed like an after-thought to combat the critics, and I’m certainly not expecting to see anything come of it. You may remember that at the beginning of this article I said that given my scepticism, my position had changed slightly. How so? Well, for me the best parts of the show, that I actually found most useful where the little titbits of advice on the small changes you can make to reduce your energy consumption, and since then, I have been watching myself more closely as a result, turning of my computer when I’m away from it for more than a couple of minutes, unplugging my phone charger etc. So in that respect the event worked. However I still don’t think this was the right way to raise awareness and to have people take action. The event was far bigger than it needed to be, and not enough attention was paid to actually making it a green concert, or pushing green issues, however much the organisers would like to believe. Have more yet smaller gigs at various locations across each country, so that people didn’t have to travel so far to see the gigs. Also, have each of these events be attended by bands that are either in the area at that time, or who are located there (not have them all travel to London for example). Ensure that public transport was the preferred method of getting to the event as well. Have performers be announced on stage by celebrities via video link. Given that the gigs would be more localised you could then have these people appear if they are in the area or lived close by. Use less lighting and effects. The stages at the concerts I saw seemed just as lit up as those from any other concert. Surely this would be a prime opportunity to be innovative and use less energy consuming methods of lighting and effects. As the gigs would be smaller, the stages wouldn’t need to be as big as well. Perhaps a more symbolic gesture would be to hold a portion of the gig in darkness? Of course this may make the event less exciting looking, or as entertaining, but I’m pretty sure if enough effort was put into the execution of the event as much as was spent generating the hype, then this could have been an even bigger and more involving event (with people actually going outside rather than watching at home on their televisions). This seemed like a prime opportunity to show how such an event could be held differently, rather than be a carbon copy (pun intended) of Live 8 from two years previous. In the end I think Live Earth has actually done more harm than good—both in terms of its environmental impact, and that of trying to make a complicated issue fashionable, voiced by those that really aren’t that interested in making a change to their own polluting lifestyles. As we rapidly approach the end of the year, so can begin some reflection of 2005. With this in mind, I wish to mull over a topic that has really grabbed my imagination this year—that of taking personal responsibility for the planet we live on and the economic and political environments that govern us.